Most of us are pretty used to the typical pack n’ play– small, compact, pretty light in weight. We have one that we use all the time, especially for the use of the changer that’s an extra and fits into the top. Pros: Quite a bit more space to play. 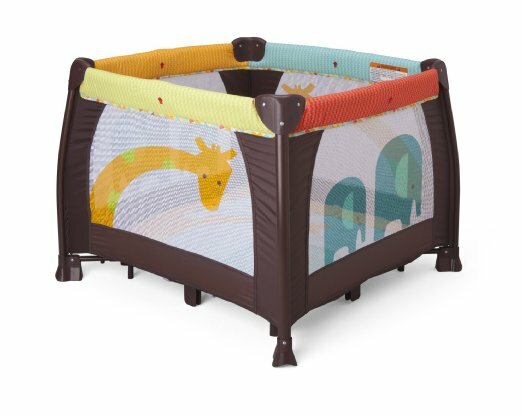 Much more sturdy than a typical pack n’ play (LO leans on the fabric, stands, holds on to the rails.) Easy to put up. Soft mattress that doesn’t require an extra sheet. Cute design. Not overly expensive. Easy to clean. 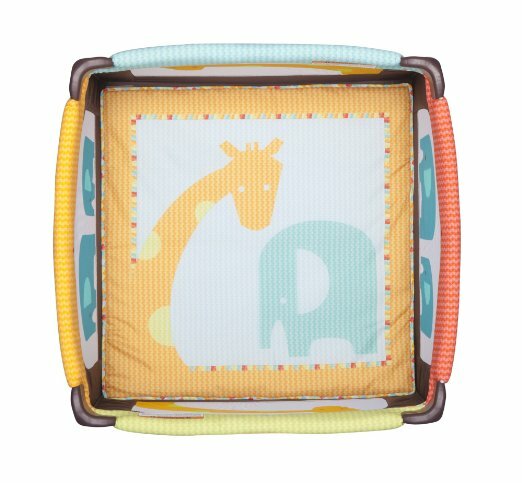 Fits toys and baby can crawl and roll around.